Far right Jobbik party gaining strength in Hungary but Jewish organization says anti-Semitism was worse in 2010. A survey carried out by TEV, the umbrella organization for combating anti-Semitism in Hungary, points to a slight decrease in the level of anti-Semitism in the country, even as the right-wing party Jobbik gains strength in Hungary. TEV includes representatives of all parts of the country's Jewish population. In the survey, Hungarians were asked about their attitudes toward the country's Jews. The results were presented in a comprehensive study that analyzed the results based on various social cross-sections. 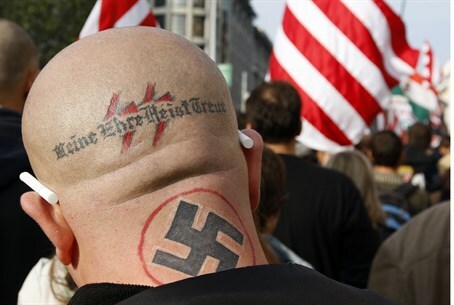 The organization noted that the anti-Semitic wave was at its peak in 2010. At that time, 22% of Hungary's population was identified as actively anti-Semitic, and another 22% were identified as supporting anti-Semitic principles and harboring prejudice against Jews. TEV noted that the percentage of “moderate” anti-Semites has not changed, and that more than one third of the population still holds some kind of anti-Semitic views. The survey results were presented at a conference of the Center of European Rabbis and the Federation of Jewish Organizations in the EU, which is taking place in Budapest.